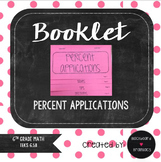 Print front and back. 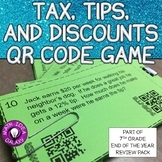 Students will define tax, tip, and discount in their on words on front. 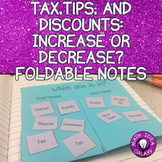 Underneath each term students will calculate the tax, tip, and discount for each scenario and determine the final cost by either adding or subtracting. 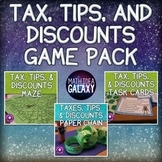 The percent equation is also provided on foldable. 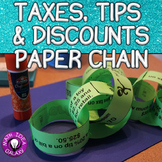 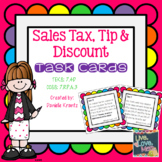 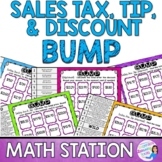 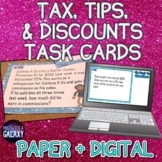 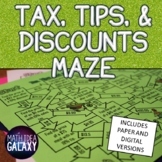 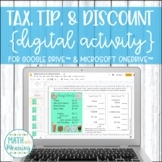 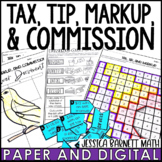 Fun activity for students to work with tax, tips, and discounts. 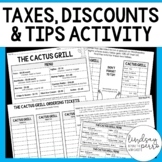 Students get to choose items from a menu to purchase, find the total, tax, tip, and discount. 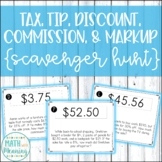 Then they roll a die to create a trail mix, find its total and then a determine a discount.